O beautiful for heroes proved, In liberating strife, Who more than self their country loved And mercy more than life! America! America! May God thy gold refine, Till all success be nobleness, And every gain divine! 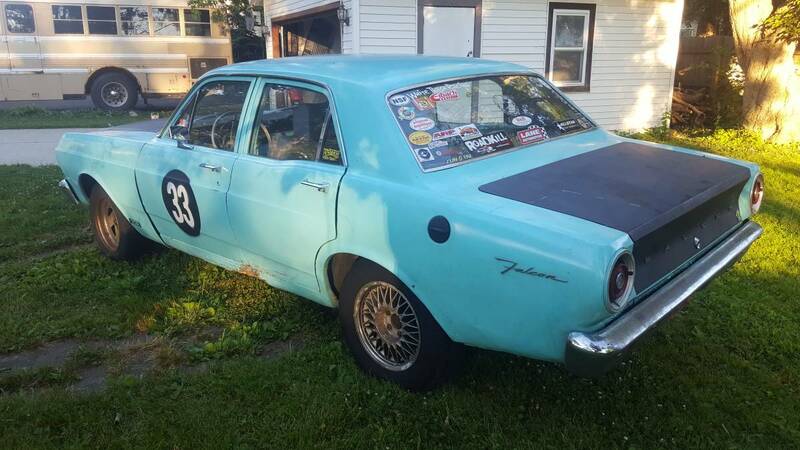 Find this 1967 Ford Falcon offered for $2200 in Dearborn Heights, MI. Tip from FuelTruck. 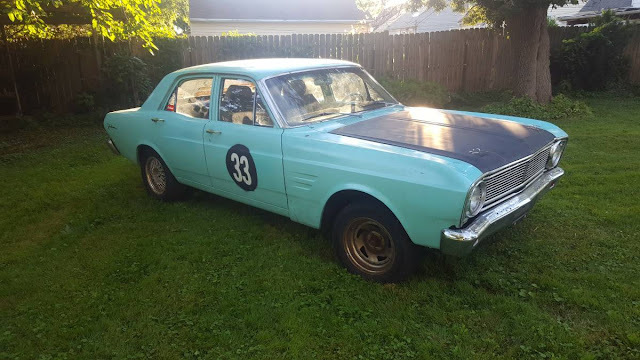 This next Ford Falcon isn't some minty clean 2-door with a late model EFI engine and a 5-speed gearbox -- nope! This is a rusty rat rod with a flat black hood, but the 5-lug wheels hint at some performance cred...let's pop the hood. What am I looking at? Is that a slant-6? Are those fuel lines running down where a coil-on-plug wire would go? OM...G? Nope. OM603! You are looking 3.5 liters of pre-chambered heavy fuel burning German power. The US Market 350SD would have come with a turbocharger from the factory, but I don't see it in these pictures...and who needs to drive up hills anyway. Expect 100ish horsepower and 30 mpg. 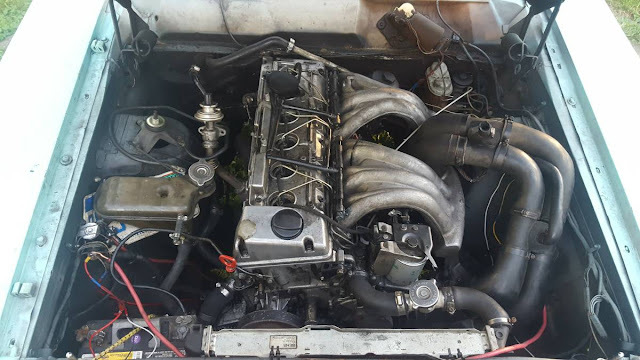 That was the absolute last motor I would have ever expected to see under the hood. Great find!